Everyone loves coloring books, no matter their age. While you may feel tempted to think that only kids can enjoy this creative activity, nothing can be further than the truth. Teenagers can enhance their creativity using coloring books, and adults will find the perfect means for relaxation. There are coloring books for all ages out there, and you will know which one is right for you, the first moment you will take a look at it. Forget about stressing out about everything and get a coloring book! Kids can learn to be creative by getting engaged in all sorts of activities, and coloring is one of the most convenient and enjoyable, at the same time. If you want to stimulate your little one’s creativity, get them this huge coloring book that comes with about 200 pages, ready to be filled with colors. This book is a lot of fun and an excellent choice for anyone who is looking to offer their kids the best incentive to engage in fun activities. The artwork is quirky and fun, too, and very child-friendly. No kid can resist the awesome appeal of this book. Dinosaurs may just score on top of the list for many preschoolers’ preferences, and it is well known that if you want to get your kid to express themselves, you should offer the right motivation. In this case, coloring dinosaurs in what scientists believe to have been their natural environment is just the right solution. The coloring book comes with 50 stickers, and four complete scenes, so your kid will surely be delighted. The book also has 24 pages meant for coloring, where your little one can express their creativity. Such activities also teach your kids to focus on a task at hand, without any distractions. Not just kids can use coloring as a means of expressing themselves. If you’re looking for new adult coloring pages, you should take a look at this particular title. The book is intended to provide the perfect means for relaxation and stress relief. In the fast-pacing world we live today, it can be so easy to forget that there is an inner artist in each of us. This book will help you tap into that personal creativity pool and find the means to let it flow. The images are printed on just one side, to avoid bleeding through. Mandala coloring is a very relaxing activity, and you might have heard that it can help adults relax. But, that being said, it doesn’t mean that kids cannot enjoy coloring such prints, as well. The way mandalas are designed helps with concentration and relaxation at the same time. They are printed in thick lines, and they offer plenty of coloring space. Kids will find this book fun, and you will be happy to see your little ones bent over their work, and enjoying themselves, without nagging you about how bored they feel. Themed coloring books are fantastic because they open the door to different streams of creativity. While some kids may prefer dinosaurs, others prefer subaquatic life. If your little one belongs to the latter category, you should get for them this unique and beautiful coloring book. Your kid will learn more than just how to color prints when using this book. They will also learn about various creatures living in the sea, and that is something invaluable. Stimulating cognitive and creative processes inside a kid’s brain, this book may be just what you are after. The Avengers are part of today’s culture, just as much as pop music and smartphone apps. And, of course, because they are superheroes, everyone loves them. Chances are that your kid is already a fan, so, if you want to offer them the perfect gift, you should try this awesome coloring book. Entitled “Saving the World!”, the book pretty much sums up what superheroes always do. Captain America, Thor, and Iron Man are all here, ready to do their jobs, and your kid will only have to color them to give a helping hand. In case you are looking for unique gifts for book lovers, this particular coloring book can be the perfect present. The amazing looking patterns will introduce the user to a world of beauty and help them relax in a fun and creative way. 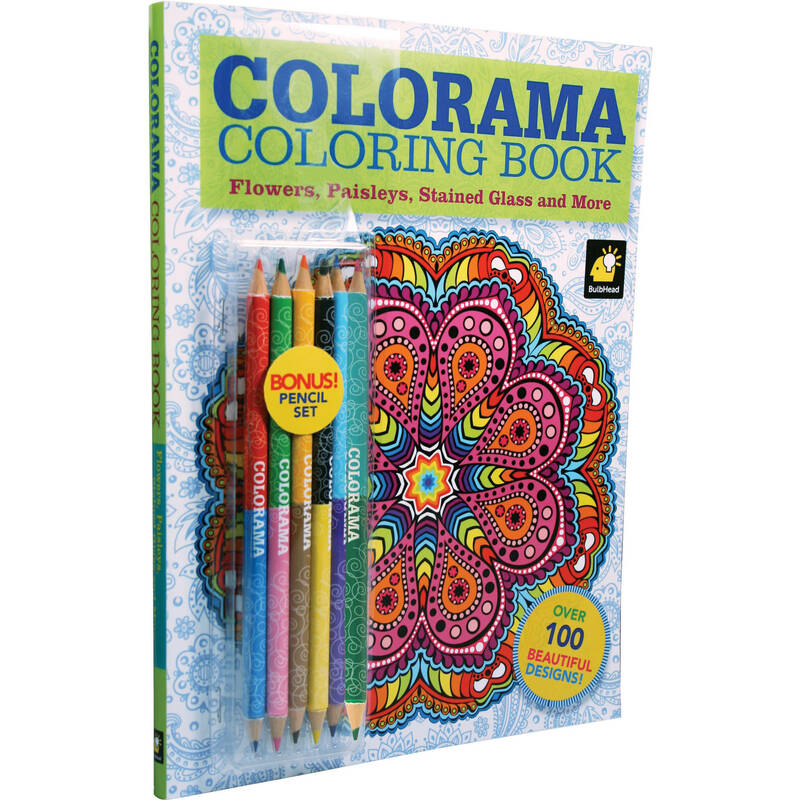 Butterfly wings and flowers make this coloring book the ideal outlet for expressing your creativity by using colors. One interesting aspect of this book is that it contains designs that go through all skill levels so that you can see your progress. 30 designs are included, all featuring amazing prints of butterflies and flower patterns. Hello Kitty is one of the best-known brands for kids today, so there is no wonder that there is a coloring book featuring the iconic character. The book contains line art and various activity pages that will assist your boy or girl in finding an outlet for expressing their creativity. When you are on vacation, traveling, or hosting a party, you may want to make sure that your kids have fun, without getting bored. This coloring book will surely keep a little one occupied for hours, without any problems. The marker storage is a nice touch. Bendon Publishing is known for their excellent coloring books, and this one is no exception to the rule. The Faces of Justice is the ideal pick for a kid who likes superheroes. The coloring pages you will find inside will offer hours of fun, and there are other activities included, as well. The four available masks that are already colored will give your kid an idea about how to color the other two included. There are even elastic bands included so that your kids can wear the masks and play around. This coloring book is a great choice for children aged three and more. Despicable Me is a much-loved kid-oriented movie with quirky characters and fun action all around, so it should come as no surprise if your kids love to color some of its heroes. This coloring book published by Bendon is an excellent way to provide your little ones with a way to express themselves while having fun. The book comes with an Imagine Ink Marker that allows a rainbow of colors to appear on the page, as the child colors the page. The mess-free marker included is unique, and it is part of the appeal of this book. Thematic coloring books are very successful among adults, and this beautiful and inspiring book will offer you the ideal opportunity to learn about Christianity and deepen your connection with God. While providing an excellent opportunity to relax, while learning about the Bible, it can be used in other contexts, as well. For instance, it can be used for Bible study groups. The pages offer some space where you can write down your reflections. The beautiful matte finish on the cover makes this beautiful coloring book stand out. Printed on high-quality paper, it can be just what you need to relax and reconnect with God. Use this sketch pad for any creative activity with a pen or coloring pencils. You can use it to expand and practice your drawing skills, and you can also doodle or color. The sketch pad offers 50 blank sheets that simply wait to be filled with your creativity bits. You will receive some bonus stickers with the sketch pad, which you can use as you see fit. Both kids and adults can use the sketch pad, and it is part of the many educational books offered for children by the same publisher. This book includes 24 pages for coloring and engaging in other creative and fun activities. When traveling with your kids in tow, you can keep them happy and occupied, by handing them such a book. The theme of the book is Inside Out, and your kids can explore the beautiful colors featured in the movie. The Imagine Ink Marker included will help your kids create a beautiful rainbow of colors, while the marker will not color other items. That means that you don’t have to worry about your kids causing a mess while engaged in their coloring activities. For both adult and children alike, coloring can be a fun and engaging activity. Kids will take from it what they always have, namely improved abilities, while adults and teens benefit more on the emotional side of things since coloring can be very therapeutic. 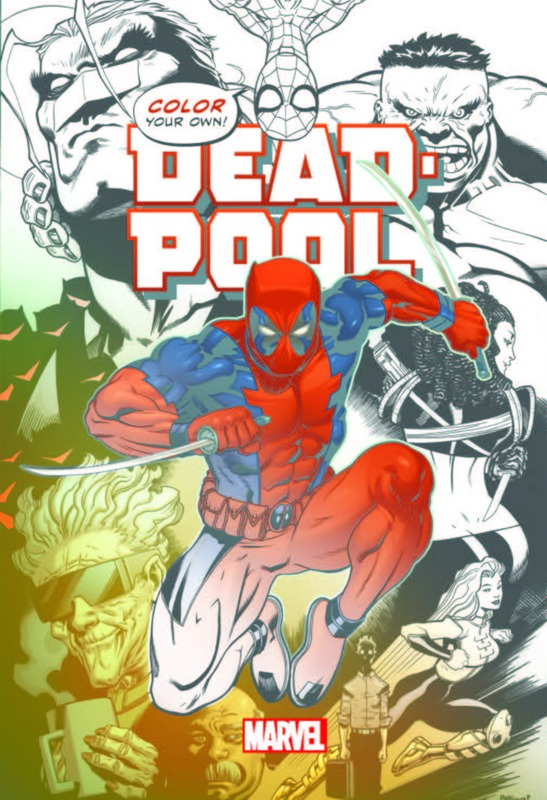 Not just that, but seeing all the cool coloring books they’ve got for sale out there will make you want to pick up the pencil set and start coloring for the sheer aesthetic pleasure of it! With minute details and precise indication that a child wouldn’t really be able to follow, coloring books have come a long way in the past decades, and the results can sometimes be stunning. There are a lot of beautifully colored creations to be found on the web, and really nothing we can say could prove a better recommendation for picking up this hobby if you haven’t already. There are still, of course, loads of cool coloring books for toddlers and children, of various levels of difficulty, to carry your little one from his first attempts at smearing with a wax crayon all the way to mixing and matching a full set of colors like a budding artist. What are some things to consider when shopping for a coloring book? According to experts, coloring is great for improving your toddler’s fine motor skills, since it involves gripping and precise motion. It also stimulates creativity, improves focus, contributes to better handwriting later on, and helps them understand boundaries. The last one’s particularly important for children of 2-4 years of age. As any psychologist from Jean Piaget to your school counselor can tell you, this is the age where they start to understand that the world has rules to follow. So get your toddlers coloring! Any parent can pretty much tell at a glance which are the best coloring books for toddlers. Those with simple, schematic cutely drawn figures, clear contours and plenty of space to fill. Don’t bother looking at books that feature cartoon characters, since children younger than 3 or 4 won’t care for them anyway. However, a book with representations of everyday household items might help the little one get a feel for abstractions. These are the years when your kid learns how to read and write, so it’s pretty important for them to practice coloring more minute, fine details to get those “finger” muscles working. This is also the time when he or she starts recognizing and caring about cartoon and comic book characters. It’s just as well since those are drawn in a style that fits a primary schooler’s coloring abilities fairly well. He will also start caring about the quality of his creations at about 5 or 6, so don’t disappoint him by providing a coloring book more fit to toddlers or frustrate him with something too complex. If you want to help your kid find certain special interests, there are a lot of options to chose from out there — with books featuring accurate depictions of real-life aircraft, boats, animals, dinosaurs, etc. There’s no need to patronize an older kid with cartoony stuff. High school can be a tough time, so this is where the therapeutic effect of coloring really starts to matter. According to the some blogs, coloring might prove helpful for teens who suffer from depression, anxiety, emotional trauma, learning disabilities or stress. It’s also a great mean of expression, which makes it very popular with artsy teens. Due to the popularity this hobby enjoys, there are literally thousands of cool coloring pages for teens and tweens, enough to fill whole sections of libraries and get you confused, lost in all the possibilities offered by their intricate patterns. They are really pretty to look at, and you get everything from precise, realistic contours to fill in at your leisure to fantasist designs apparently driven by a horror of vacuum. These force you to fill every nook and cranny with a flat layer of color, while the airy ones allow for different shading and highlights to be used (and sometimes come with special instructions to this effect.) Needless to say, adults will find them equally enticing. Until recently, the only place where most of us could see adults using a coloring book was a particularly absurdist scene from the 1990s comedy Air America. However, the screenwriters seemed to have been onto something when they had two cargo pilots start coloring as their rookie colleague was flying them through a storm. It seems that coloring contributes greatly to reducing anxiety, it increases focus and brings about a state of “mindfulness,” as Marygrace Berberian, Clinical Assistant Professor and Program Coordinator of the Graduate Art Therapy Program at NYU declares on the CNN website. According to the same source, coloring offers some unique benefits that other forms of art therapy can’t provide. This comes from the fact that it forces you to work within ready set boundaries. This loss of creative freedom brings, however, a state of greater stability and security to the person. It seems people don’t get the feelings of doubt associated with starting a new project from coloring. It does, however, keep a large part of your brain occupied, leaving little space for persistent thoughts about day to day matters that tend to build up into anxiety. Since this is dependent on the activity being absorbing, coloring patterns that demand a lot of precision and give a lot of details to focus on tend to work best. Mandalas, which are some very intricate concentric geometric shapes, traditional to the Hindu religion, have been successively used in a coloring therapy experiment back in 2005, so they are proved to work. Mandala patterns aren’t available just to researchers, of course, they are the subject of some of the most popular coloring books out there since they make for some really cool coloring pages for adults.